Find inspiration in the API gallery, access our technical documentation and find answers in the Knowledge Base. How can I access the Altmetric API documentation? 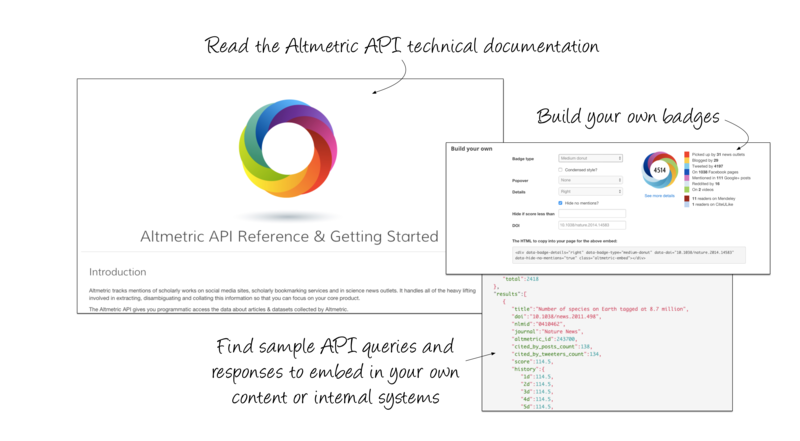 The Altmetric API gives you programmatic access the data about research outputs and datasets collected by Altmetric. Find our sample API responses, including fetching detailed item level metrics for an output. Altmetric.com embeds allow you to add new social metrics and data to your content with a minimum of fuss and technical effort – all you need to do is add two lines of code to your HTML. Access our technical documentation to find everything you need to know about our free and commercial API. Including API keys, sample queries and responses and details about rate limits. We offer technical support for API customers, get in touch with us if you have any questions. We’re here to help if you have questions or want to share an idea. 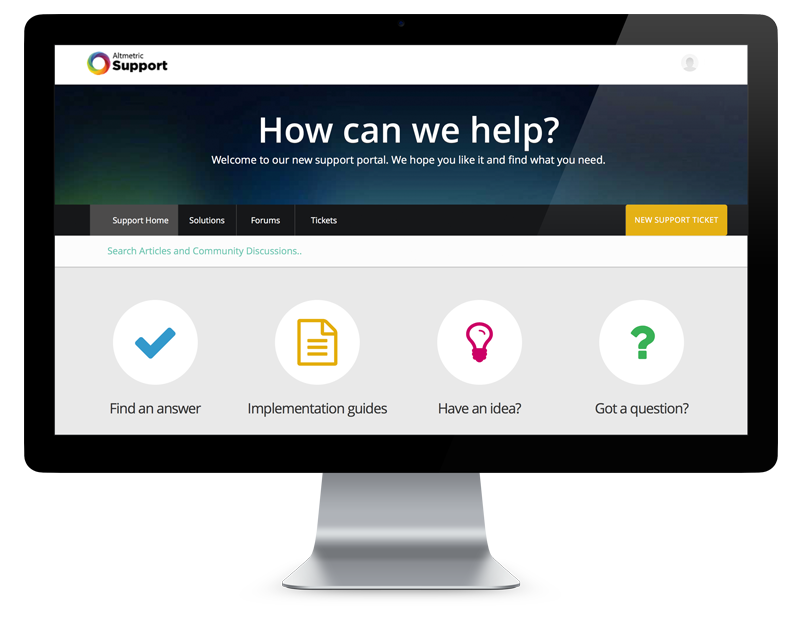 Visit our Support Centre to find an answer, read our implementation guides, or ask us a question.